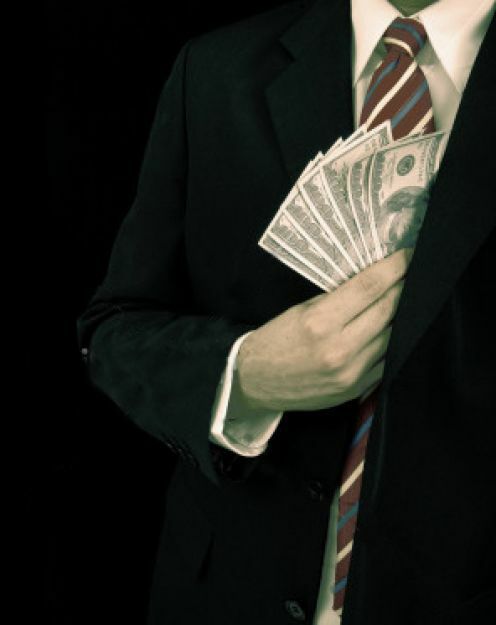 Companies should be concerned about corruption not only because it impacts indirectly on sustainable development (because corruption leads to the misallocation of resources), but more importantly, their employees, suppliers and customers are confronted by the practice in their daily lives and they will accordingly bring many of the consequences associated with corruption in their interactions with the company. The accumulative impact of these interactions will inevitably compromise the organisation’s integrity whatever their declared principles. Sustainable development is firmly becoming embedded within the Corporate Social Responsibility (CSR) agenda of the most responsible multinationals. Companies are increasingly referring to ‘sustainable development’ in their codes of practice and external communications. There is even a World Business Council for Sustainable Development (WBCSD) – a non-governmental organisation (NGO) financed by around 130 of the largest multinationals in the world to co-ordinate, publicise and lobby the role of business in contributing to sustainable development globally. While companies seem prepared to address most of the technical issues surrounding and related to sustainable development, e.g. environment and pollution, corruption doesn’t feature highly even through the mis-allocation of resources and consequently economic inefficiencies that arise in corrupt environments is at the core of sustainable development. Hitherto, the private sector’s role in combating corruption has escaped attention because the conventional view within business is that if the environment is corrupt there is nothing they can do about it. The presumption is that corruption is an entirely public sector problem. While it is true that the quality of governance is a serious issue in corrupt countries, corruption should however be seen as a system of conducting transactions where there is a payer and a receiver. A payment is made in exchange for a favour that is in the gift of the receiver, invariably a corrupt public sector official. An important difference between a corrupt transaction and a non-corrupt transaction is that a corrupt transaction is carried out in secret because it would not meet the approval of the wider society. Corruption should also be seen as an illegitimate (rather than illegal) system of distributing surpluses because the transactions are carried out in secret and these can range from payments of petty bribes to colluding with local and national power brokers. There is no escaping that companies are exposed to the issue when they do business in corrupt environments because in some of the more corrupt countries almost every interaction with public officials can involve some sort of payment or favour and if the practice is widespread enough there is an impact on virtually every facet of life in a country, political, economic and social. Political, because it impacts upon the power struggle at the top, how power is exercised and attained, democratically or otherwise. In corrupt natural resource rich countries a government can invite a company to develop and extract the resource. This surplus is than disposed at will without any recourse to systems of accountability or legitimacy from the wider population. Economic, because it impacts negatively on the efficiency with which resources are allocated within the country and that itself lowers the prospects for economic development. For example, the tendency for high-tech white elephant projects, sometimes in partnership with a foreign company, is symptomatic of corruption because it enables the local power brokers who promote the project in the country to transfer a proportion of the value of the project into an overseas account with the connivance of the foreign partner. Social, because the prevalence of corruption can be an important factor contributing to the breakdown of trust between and within groups of people in the country’s organisations and administrative systems. The breakdown in trust occurs when individuals or groups of individuals are either perceived to be or are actually benefiting excessively through abuse of power. More importantly, the lack of trust impacts negatively on the ability of groups of people to come together (institutions of civil society) to act as a check on the abuses of power at the very top of institutions and organisations in the country. Transparency International, the NGO that has been working to raise the attention of the world to the issue, believes that corruption at the top of government cascades down into petty corruption. If governance at the top is a problem, it will also be a problem at the bottom. While corruption at the top occurs between companies and senior public officials, for those involved in employment the problems associated with corruption arise mainly from the smaller payments necessary to access basic public goods, like a place in school for their children, telephone lines and access to electricity. Individuals involved in business may be able to pass on the extra cost of paying bribes on to their customers and or to the government as part of their operating costs or through ‘tax engineering’, those unable to pass on these costs will inevitably experience a lower standard of living. In addition, those in position of power (political) can recoup these costs by demanding bribes from others while others unable to afford such payments have to go without access to public goods such as health facilities and education. The accumulative effect of corruption is a significantly more unequal distribution of resources and services than if corruption was not present. Consequently corruption is probably the mechanism through which resources are systematically transferred from those with the least power to those with the most power. The frustrating aspect of corruption is that often there is no recourse to action because the legal infrastructure and systems of accountability necessary to hold the practice in check are either not present, poorly staffed and financed, inadequate or even if these institutions exist they are corrupted like the other public institutions and as a result culprits will not be brought to justice. A survey on corruption carried out by Malawi’s Anti-Corruption Bureau showed that the public were most concerned about the provision of public services, in particular school places and exam results and in the allocation of land by chiefs. In Zimbabwe, the country’s Anti-Corruption Act excluded the President, the army and the police from investigation. In South Africa it was reported that the Departments of Education and Health incurred heavy losses including outright theft of property without any prosecutions. Welfare payments were effected by systematic fraud and theft, sometimes amounting to as much as 25% of the total payments. And in resource rich countries like Angola, The Democratic Republic of Congo and Nigeria (under the former President Abacha), despite the fact that the country’s natural resources are being extracted by foreign companies, the vast majority of the population remain poor because the benefits from the extraction of these resources are systematically flowing out of the country to the personal accounts of those in power rather than into development initiatives, often with the connivance of foreign companies. Almost all members within WBCSD will have business dealings in Transparency International’s list of most corrupt countries (see chart above). Although according to the WBCSD’s CSR document there is an expression of responsibility of care to their employees, suppliers and customers, corruption is conspicuously absent despite the considerable exposure of companies in corrupt environments. The subject is obviously very sensitive for companies to address because corruption is illegal and unethical and accordingly very embarrassing. However, there may be a case for demystifying the subject by lifting the veil of secrecy that surrounds the subject. One of the reasons companies do not appear to be prepared to address the issue is because unlike environmental issues corruption does not impact directly on the lives of those in the rich industrialised countries as much as the environmental issues. Another more probable but important reason is that every company doing business in these environments is exposed to the problem, so making public statements when parts of the organisation may be susceptible to the problem may not be appropriate. Moreover, the impact of corruption is not visible, only the symptoms are – the inefficiency and the failure to deliver an improvement in people’s standards of living. Governments in the richer industrialised countries and companies started to address environmental issues because NGOs like Greenpeace and Friends of the Earth have mobilised public opinion, sometimes through direct action that threatens a company’s image and takes votes away from parties that do not pay heed to the environment. Directly through demands for bribes. In order to facilitate business in corrupt environments, companies either hire their own ‘fixers’ or go through ‘consultants’. However how does one know that that the company ‘fixer’ or ‘consultant’ is not sharing the proceeds with the public official. Moreover what happens if instead of a bribe a demand is made to place a relative in employment or even a contract? Indirectly through their employees, suppliers and customers. Employment with foreign companies in developing countries is sought after because foreign companies pay well. Consequently, employees can come under social pressures from friends and family to provide jobs and contracts. And if bribe payments are the norm in the country, suppliers through their social networks can dangle irresistible incentives in front of employees for information about competitors and for contracts. In addition to the accumulative effect of the above, there are variations in the way the prevalence of corruption will impact on the different sectors of the economy. While on the one hand mass consumer goods industries will have to cope with the generally higher cost of production and depressed demand for their products owing to a drift of resources to a small minority with economic and political power, mining companies, invariably extracting a product for export, on the other hand can often face significant difficulties with local communities. If a mining company is generating surpluses and if the neighbouring communities are not benefiting from these surpluses because a corrupt government may be failing to deliver opportunities, resentment will occur. From a company’s point of view, this resentment will often manifest itself as extortion when local communities demand development help. When companies resort to protection from the local police or establish their own security systems this can often lead to violence and accusations of human rights abuses. Moreover, businesspeople familiar with working in corrupt countries will also recognise the fact that when projects do not achieve their objectives or experience costs overruns it is impossible to ascertain whether this is owing to a risk associated with misjudging market conditions, incompetence or malpractice. And in certain circumstances the operational inefficiencies as a result of the latter two points can often compromise an organisation’s environmental standards. While very little can be done when market conditions are misjudged, and incompetence can be addressed through good management and investment in training, corruption related malpractice is however difficult to unravel, except in the most obvious cases. Accordingly, it makes good business sense that companies should address corruption as an essential part of their long-term CSR strategy rather than the just symptoms of corruption. When NGOs first raised issues such as sustainable development, the environment and human rights, these individuals and groups where seen as intend on destroying business rather than individuals with a conscience whether misplaced or otherwise. Similarly when business resists change, in this case the resistance to address corruption can be misplaced because it requires the leaders of companies to make a paradigm shift in the way they conduct their ‘core business’ of generating an adequate return for their shareholders. Admittedly, there are big company and small company problems. While smaller companies can have little impact, big companies can use their power and influence to set the pace, but they need to acquire new skills when they do business in corrupt countries. (Article on skills required on request). Although companies that refuse to pay bribes may well lose business in the short term there are undoubted serious bottom line gains once they start to address the issue systematically. The gains can materialise not only from internal efficiency gains but also from the associated risks. For example, if a company has addressed the issue systematically, not only will it be in a stronger position to resist demands for favours should the business environment deteriorate, but it will be better prepared to take advantage of the business opportunities that may arise in a cleaner environment by virtue of its positive image. Finally, if much of the inequality is owing to corruption, and inequality is the source of much of the human conflict in developing countries, it makes sense that responsible business should address the issue because it has more to loose in the long run and because it is an essential ingredient to good governance. Although addressing sustainable development is a necessary step, without addressing corruption systematically it may not be sufficient for an effective CSR strategy. Once groups of people start expressing resentment through direct action what they are saying is don’t expect us to trust you and don’t bother showing us what you are doing, but let us feel the difference in our lives.